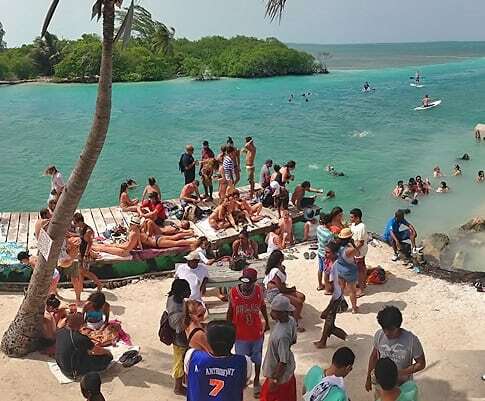 During the month of June, cruise ship arrivals registered a 57.2% increase while at the end of the first half of this year, there was also an overall increase of 10.2% in cruise visitors to Belize as compared to the first half of 2017. The following is a breakdown of the most recent statistics, indicating that Belize continues to maintain double digit growth in overnight arrivals. Overnight tourist arrivals increased by 15% in June 2018. Overnight arrivals in June have increased by at least 10% in each of the past three years. Arrivals in June and July have closely approached the high season numbers of January and February, particularly over the past six years. There is a 17% cumulative increase in overnight arrivals over the first half of the year. In June 2018, there were 20 cruise ship calls which amounted to over 73,000 cruise passengers arriving in Belize. This represented a sizeable increase of 57.2% or over 26,000 more cruise visitors when compared to June 2017. At the end of the first half of the year, there has been an overall increase of 10.2% in cruise visitors as compared to the first half of 2017. Arrivals for 2018 includes visitors from both Belize City and Harvest Caye Seaports. Another exceptional increase in tourism arrivals is a reaffirmation of significant gains for the country that continues to be a growing, viable and a must-visit destination in Central America and the Caribbean. It is also illustrative of the extremely successful efforts of the Belize Tourism Board and our valued stakeholders to market Belize as a Curious Place and as a premier tourism destination. Disabled airline passenger tumbles down escalator: Is Alaska Airlines liable? Kekona v. Alaska Airlines, Inc. - Bernice Kekona, an Alaska passenger, traveling from Maui to Spokane, was disabled and fell.